My current playthrough I finally, finally managed to build a custom male Shepard that I love. I find it odd that it is much harder for me to coordinate a non-default male face with Mark Meer‘s voice than a female one with Jennifer Hale‘s. Partly, I think, because the default BroShep face for me is so linked to that voice whereas, despite valiant or horrific, depending on your opinion, efforts in ME2 default Femshep is a more nebulous affair. 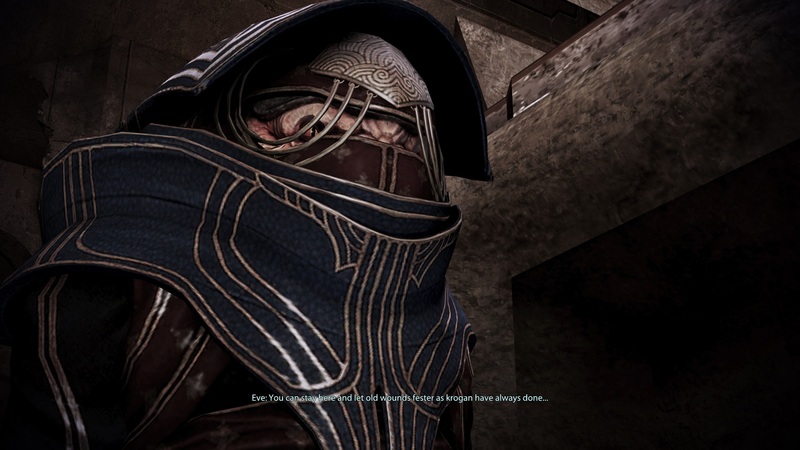 Sam, though, totally works with Mark’s voice which will allow me to differentiate between this guy and his Liara romance and the next playthrough with default BroShep and his Tali wooing. No, I don’t use a spreadsheet, why do you ask? Sweet Tali. 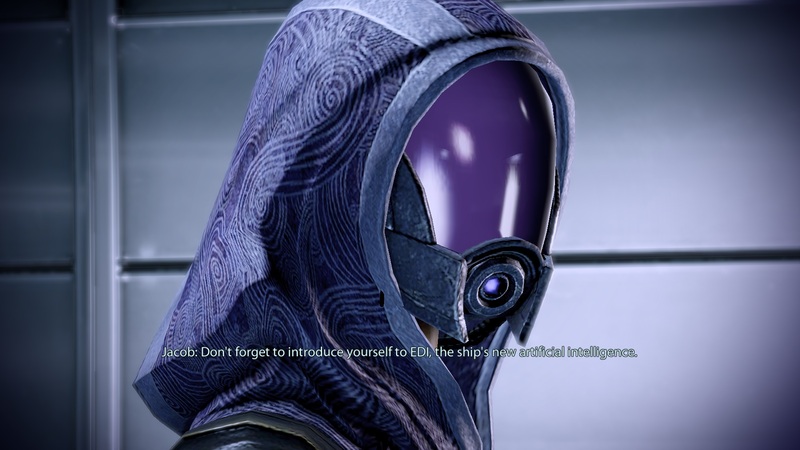 I have yet to encounter a single Mass Effect player who dislikes Tali’Zorah, even among the few who for one reason or another dislike the Quarians. Ash Shroka who voices Tali and reprises the role in ME2 and 3 may not be as widely known as some of her co-stars in Mass Effect but did an absolutely stellar job with Tali, especially in ME2 and ME3 where our girl gets a lot more screen time and emotional playing field. 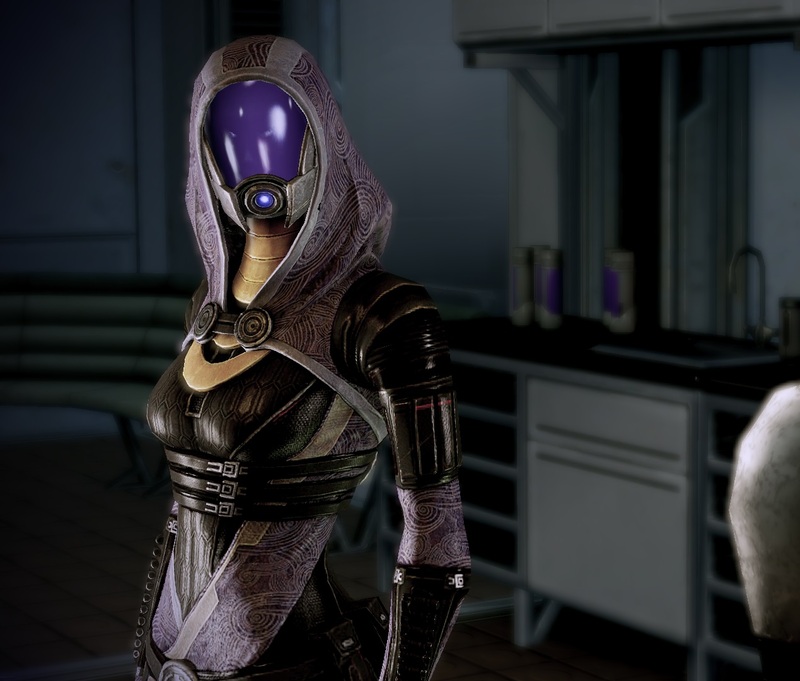 If there is anything I might criticize about Tali it would have to be an all-around critique of the whole Quarian helmet mystique. In no way, form or fashion should that be an unknown in an advanced galactic society. What? 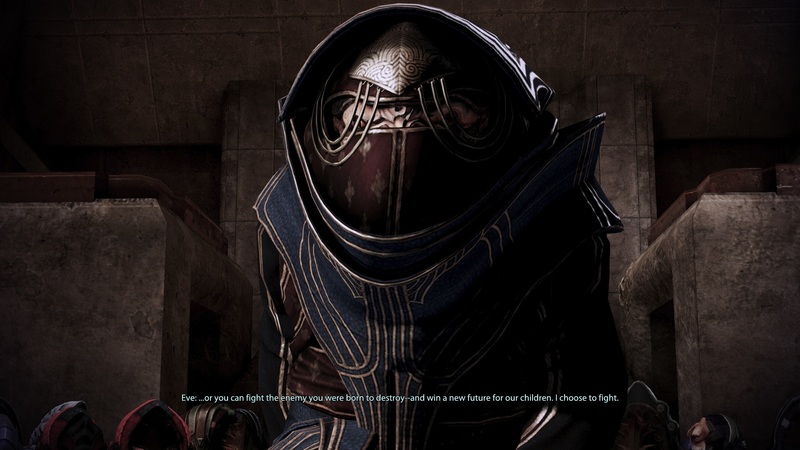 Any Quarians who die and get autopsied away from the fleet have the procedure done with the helmet fused to their heads? Are Quarians, in fact, the space version of the Doctor Who Chula Nanogene fusion in The Empty Child? Are you, in fact, this girl’s mommy? 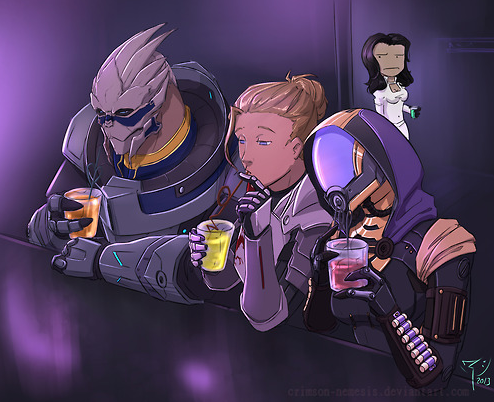 If that Who/Mass Effect crossover joke was too obscure please leave a note in the comments below! 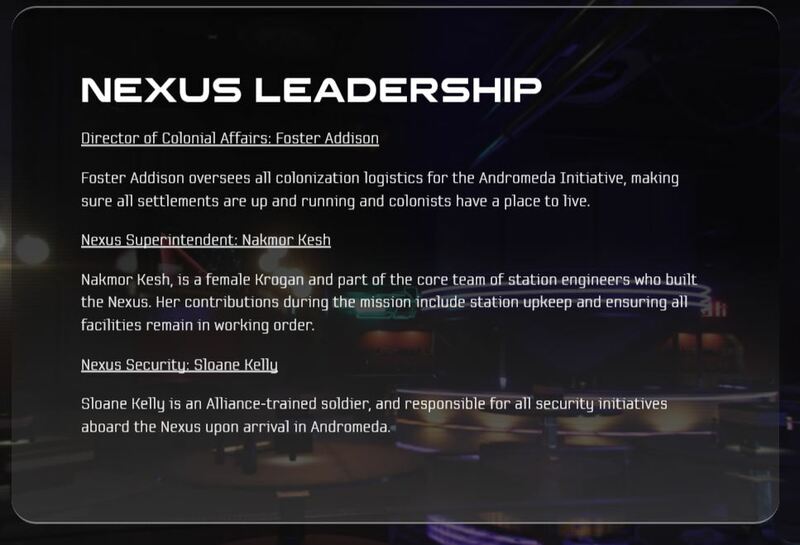 The text in the lead shot refers to Jacob‘s less than tactful comment when she joins the Normandy in Mass Effect 2. Cerberus’ relationship with the Migrant Fleet is not a happy one at that time so perhaps that’s where his cattiness is coming from. 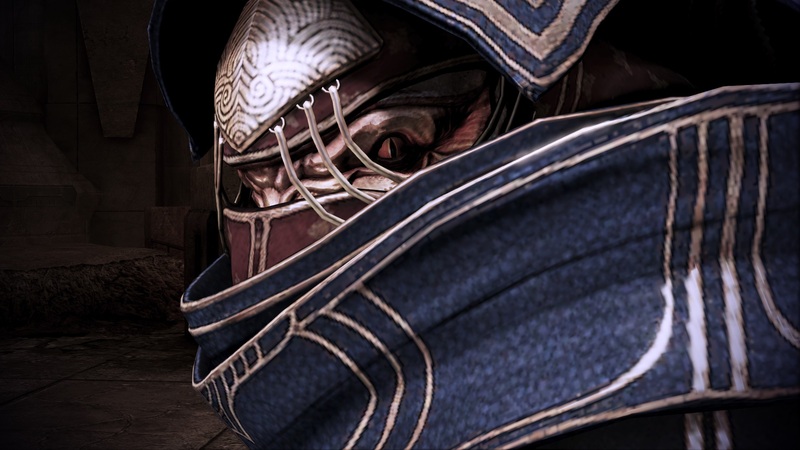 Personally, I think it’s because Tali is better with a shotgun than Taylor and a lot more useful to do missions with. On the other hand, he doesn’t have to drink his booze with a straw. I’m sorry an emergency induction port! Happy Emergency Induction Port Hour! I promise I won’t flood these posts with pretty pictures of my own Shepard but you have to accept one every now and then. Or you know, not. Whatever works for you. In this case, it’s a shot of my Shepard getting ready to beat up on some mercs on Omega. She just found out that her old friend Garrus is back in town and there’s nothing she can’t do and nobody that’ll get in the way of her taking him back to the Normandy where he belongs! What should have been an awkward eyes-closed shot of my Shepard in Mass Effect 2 turned out to be a shining moment of peace for an otherwise hardened soldier. This is snapped on Tuchanka too, not the place you’d really want to breathe too deeply or where you would expect to find a moment of calm but you have to take those moments where you can get them! Flight Lieutenant Jeff Moreau aka Joker and the one screenshot I bet everyone has of him who has played the game. Well a lot of you anyway! Joker is voiced by and to some degree modeled after Seth Green, the cutest Buffy werewolf in the history of the furry critters and the character is by far one of the biggest stars of the ensemble as well as the behind the scenes glue that holds the Normandy and its disparate crew(s) together with his quips and off-color remarks. Seth has done a huge amount of voice work including but not limited to Robot Chicken, Avengers Assemble, Family Guy, Aqua Teen Hunger Force and Star Wars: The Clone Wars. And I bet you didn’t know he voiced Howard the Duck in the after credits scene of Guardians of the Galaxy. He’s also starred in several movies and appeared in several TV shows. You might be able to spot him as an expo fan in Ironman 2.